Join us on Wednesday, May 8, 10:30 am for a special Mother's Day Storytime & Tea. 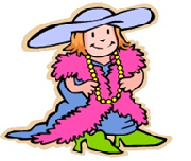 Dress up and celebrate Moms and Grandmas! Refreshments and craft are provided. This will be a combined storytime for Babies, Toddlers and Preschoolers.